Me in front of Beatties or so in UK in 1986. Such a good memory! Nice1, which town was the Beatties in?? waooo,,, still the Egress, Avante and Vanquish were not born Yet! great pic thanks for sharing ! I spent hours gazing at all the amazing stuff at Beaties in Manchester . watching the hypnotic Tamiya Videos for hours ,dreaming of owning any of them . After a year or two of pestering and saving I finally got one and have been hooked since . Shame they gave all since vanished !!! 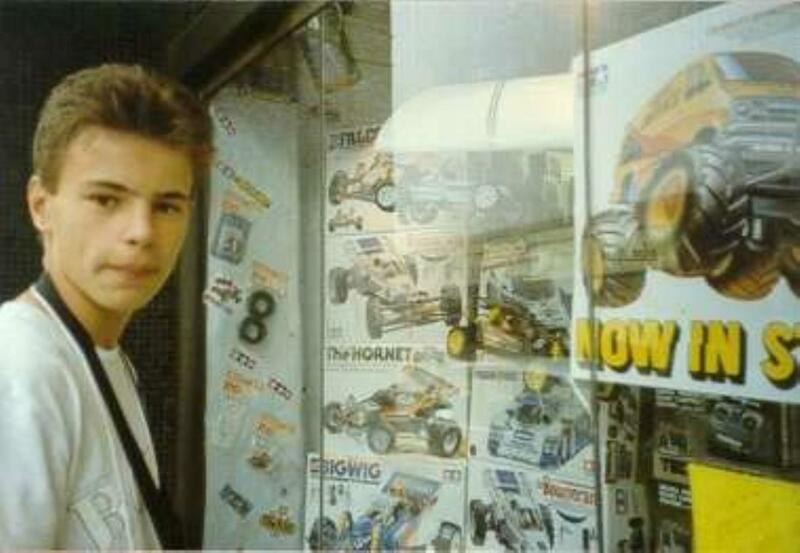 Wow, your photo reminds me of the excitement at the window of my favorite tamiya shop in my town in the 80 ' Great emotion! Nice pic. So cool you ve got a picture like this!!!! the tamiya stuff in the kilmarnock beatties was upstairs, i guess they got fed up cleaning drool from the windows. Yes, Tamiya stuff was upstairs. Great pic! Wish I had a few like that from back in the day!! I was 9 in 86 and used to get my brother to take me there (Beatties Bristol) most weekends, we didn't have any money, just window shopping and dreaming, always straight upstairs to the good stuff, i.e. Tamiya and Scalextric. Boring static models downstairs. Great memories. How old r u in this shot tech burp ? Brexit is a sad experience for me, but that‘s politics.